Every investor who wants to beat the market must master the skill of stock valuation. 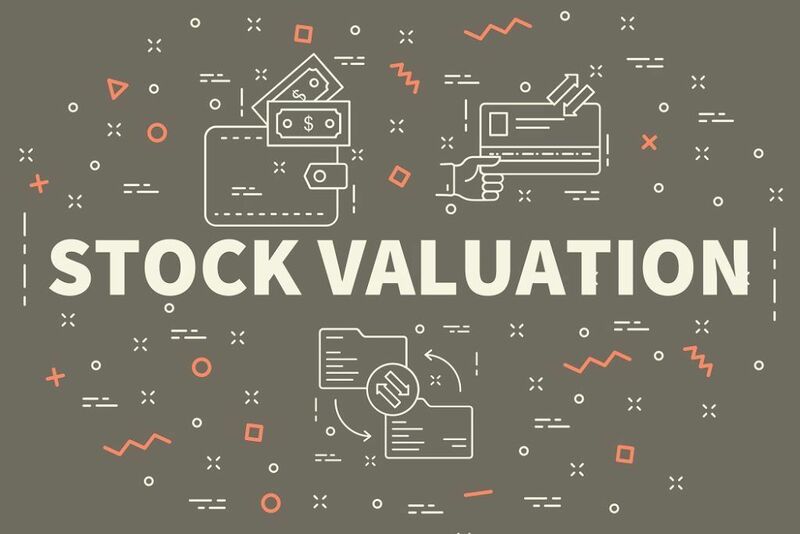 Essentially, stock valuation is a method of determining the intrinsic valueIntrinsic ValueThe intrinsic value of a business (or any investment security) is the present value of all expected future cash flows, discounted at the appropriate discount rate. Unlike relative forms of valuation that look at comparable companies, intrinsic valuation looks only at the inherent value of a business on its own. (or theoretical value) of a stock. The importance of valuing stocks evolves from the fact that the intrinsic value of a stock is not attached to its current price. By knowing a stock’s intrinsic value, an investor may determine whether the stock is over- or under-valued at its current market price. Valuing stocks is an extremely complicated process that can be generally viewed as a combination of both art and science. Investors may be overwhelmed by the amount of available information that can be potentially used in valuing stocks (company’s financials, newspapers, economic reportsEconomic IndicatorsAn economic indicator is a measure of the overall state of the macroeconomy. Economic indicators are often collected by a government agency or private business intelligence organization in the form of a census or survey, which is then analyzed further to generate an economic indicator. Analysts and investors, stock reports, etc.). Therefore, an investor needs to be able to filter the relevant information from the unnecessary noise. Additionally, an investor should know about major stock valuation methods and the scenarios in which such methods are applicable. Stock valuation methods can be primarily categorized into two main types: absolute and relative. Absolute stock valuation relies on the company’s fundamental information. The method generally involves the analysis of various financial information that can be found in or derived from a company’s financial statements. Many techniques of absolute stock valuation primarily investigate the company’s cash flows, dividends, and growth rates. Notable absolute stock valuation methods include the dividend discount model (DDM)Dividend Discount ModelThe Dividend Discount Model (DDM) is a quantitative method of valuing a company’s stock price based on the assumption that the current fair price of a stock and the discounted cash flow model (DCF)Discounted Cash Flow DCF FormulaThe discounted cash flow DCF formula is the sum of the cash flow in each period divided by one plus the discount rate raised to the power of the period #. This article breaks down the DCF formula into simple terms with examples and a video of the calculation. The formula is used to determine the value of a business. Relative stock valuation concerns with the comparison of the investment with similar companies. The relative stock valuation method deals with the calculation of the key financial ratios of similar companies and derivation of the same ratio for the target company. The best example of relative stock valuation is comparable companies analysis. Below, we will briefly discuss the most popular methods of stock valuation. The dividend discount model is one of the basic techniques of absolute stock valuation. The DDM is based on the assumption that the company’s dividends represent the company’s cash flow to its shareholders. Essentially, the model states that the intrinsic value of the company’s stock price equals the present value of the company’s future dividends. Note that the dividend discount model is applicable only if a company distributes dividends regularly and the distribution is stable. The discounted cash flow model is another popular method of absolute stock valuation. Under the DCF approach, the intrinsic value of a stock is calculated by discounting the company’s free cash flows to its present value. The main advantage of the DCF model is that it does not require any assumptions regarding the distribution of dividends. Thus, it is suitable for companies with unknown or unpredictable dividend distribution. However, the DCF model is sophisticated from a technical perspective. The comparable analysis is an example of relative stock valuation. Instead of determining the intrinsic value of a stock using the company’s fundamentals, the comparable approach aims to derive a stock’s theoretical price using the price multiples of similar companies. The most commonly used multiples include the price-to-earnings (P/E)P/E Ratio TemplateThis P/E ratio template will show you how to calculate the Price-to-Earnings multiple using share price and earnings per share. The Price Earnings Ratio, price-to-book (P/B), and enterprise value-to-EBITDA (EV/EBITDA). The comparable companies analysis method is one of the simplest from a technical perspective. However, the most challenging part is the determination of truly comparable companies.